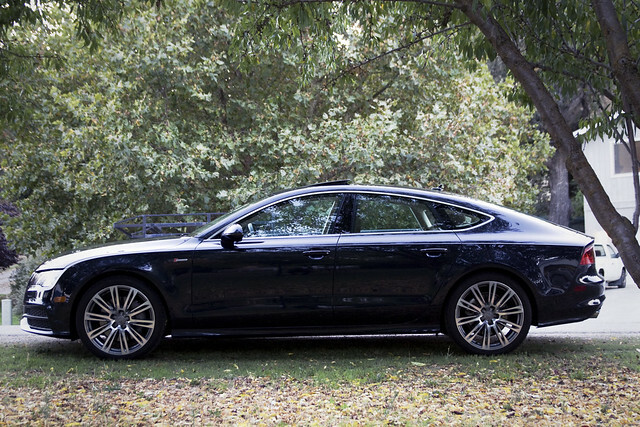 The A7 is stunning to look at…with its masculine lines, wide stance, and swooping rear end. The car is perfect from every angle. The S-Line kit really gives it the sporty look it deserves, from the S-Line bumpers down to the 20″ ten-parallel-spoke wheels. 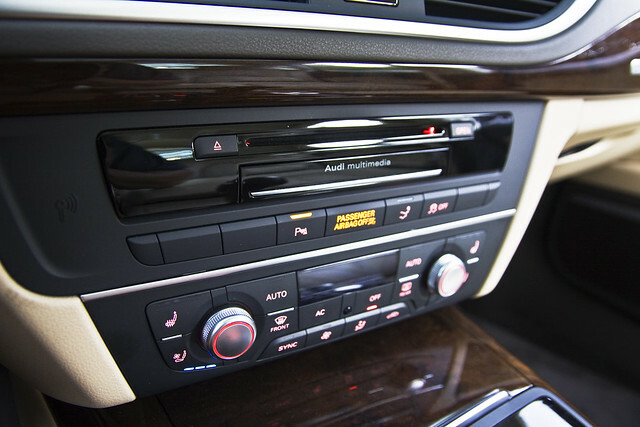 Audi’s MMI Touch Interface is what surprised me the most about this car. The interface does a great job integrating the audio, navigation and telephone controls into one easy to use system. The thumb wheel control is very easy to use and most drivers will intuitively use it after driving the vehicle. 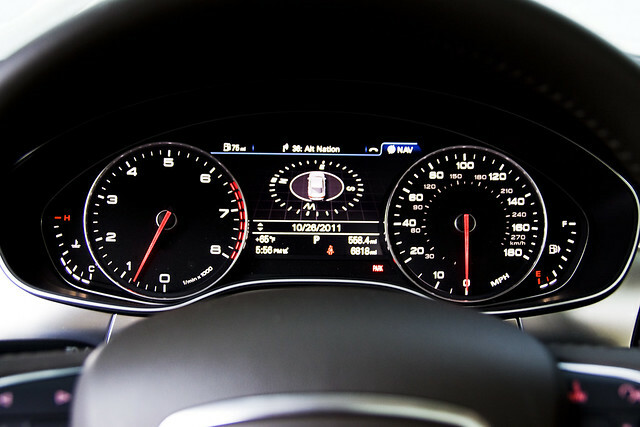 Audi has also integrated a “Touchpad Operating System” so the driver can write the letters of the destination or the digits of a telephone number without taking his eyes off the road. 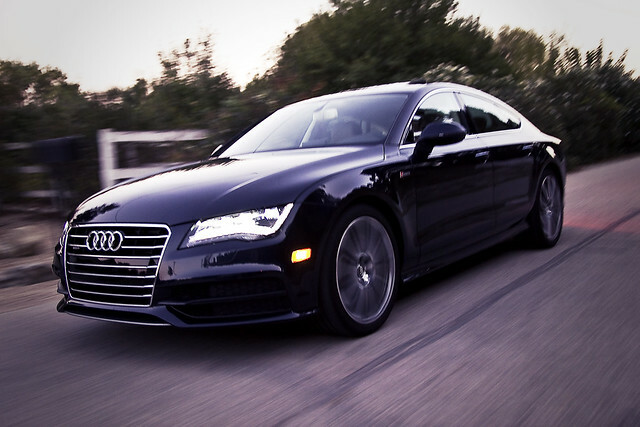 The A7 also includes heaters and coolers in the front seats, which is about the greatest amenity to have. You don’t realize how much you use them until they are gone. 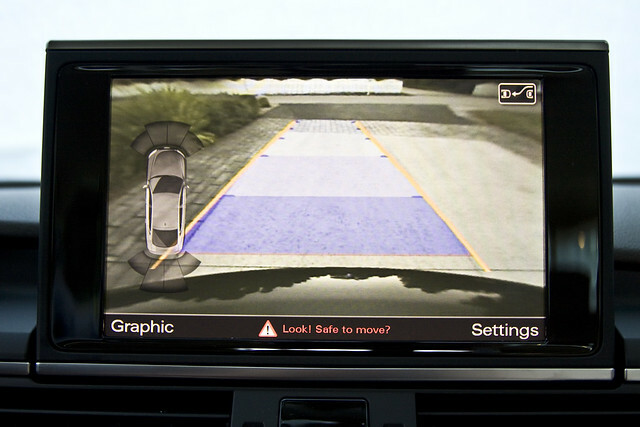 Another great feature of the MMI system is that Audi has integrated Google Earth into the standard navigation system. When you are driving, the Google Maps navigation actually shows the terrain, street views of the businesses or residences, and you can even set which elevation to view the map from. When the car was dropped off to us, the man said, “don’t forget to check out the Wireless Network inside the car.” I was a little skeptical; thinking he might have mis-understood some of the features in the car. But, to my surprise, it really does have its own built-in Wireless 3G Network. As soon as we sat down inside, all of our phones and iPads recognized the “Audi” 3G network. 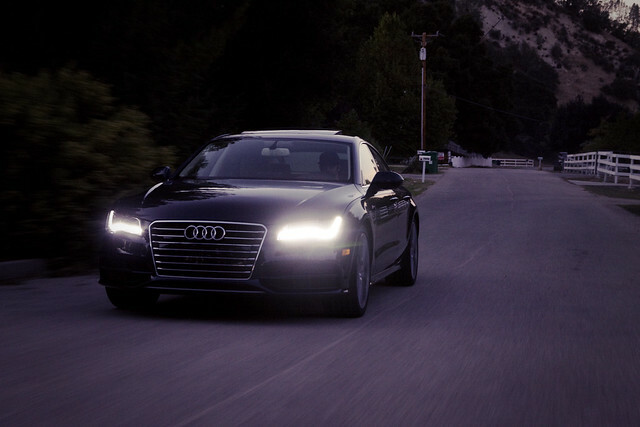 The A7 has three different driving modes to choose from: Comfort, Dynamic and Automatic. 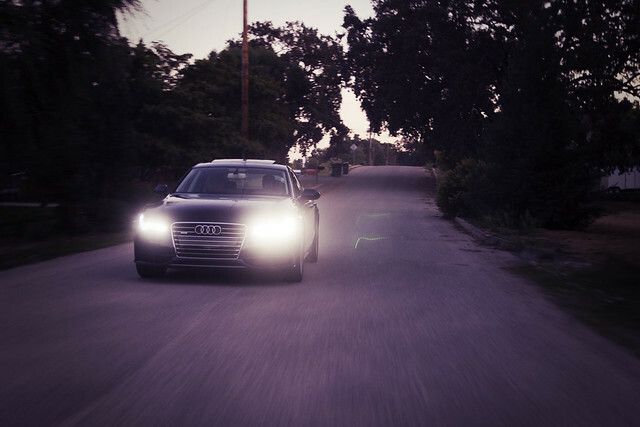 With Comfort selected, it’s like driving on a cloud. Even when driving over bumps or potholes, you can’t even feel them. With Dynamic selected, the suspension stiffens, steering is more agile and throttle response is quicker. 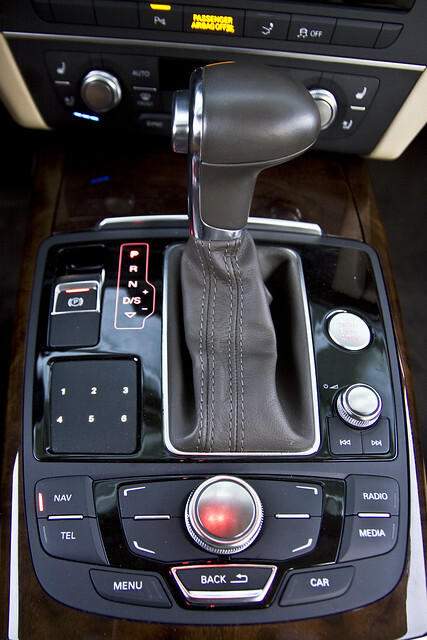 With Automatic selected, the car will adjust the settings based on driving conditions or driver inputs. 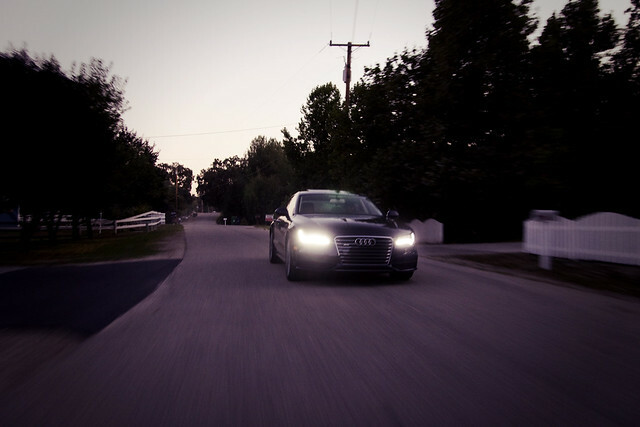 Overall, the A7 was a blast to drive, both around town and on the freeway. Around town, I kept the car in Dynamic mode for a more sporty feel. Taking off from stop lights was the best feeling in Dynamic; mash on the gas and you’re gone! Freeway driving in Comfort mode was great as well, so very smooth, especially cruising along with the seat heaters or coolers on. I couldn’t ask for a better ride! 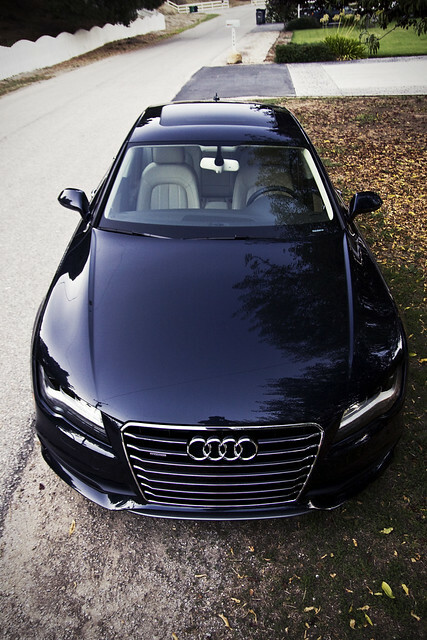 The A7 is a fabulous car. I can’t think of one bad thing to say about it. I think the price is fair, especially with all the features mentioned above. 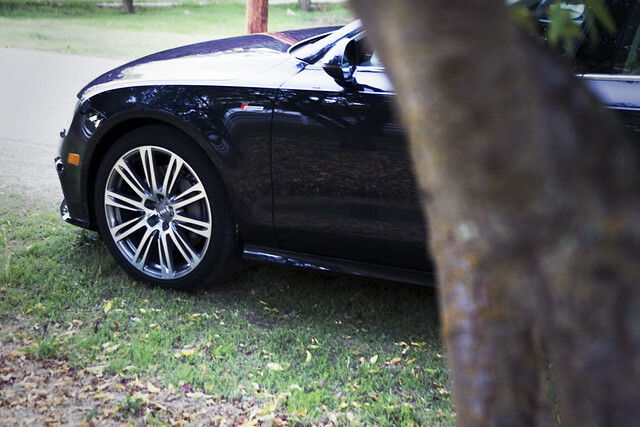 In its price range is the Mercedes CLS, BMW 6 Series and the high-end of the BMW 5 Series. The base price of the CLS is well above even the “As Tested” Audi price of $71,300, which is a bit much to pay for a base model car; just to roll around with the Mercedes crest on the front. The BMWs are a bit more in line with the Audi, with the 535xi starting off at $54,550 or the 550i starting out at $61,700. The 6 Series, on the other hand, starts at $73,600 just for the base coupe! As for the convertible, that will set you back at least $81,100! 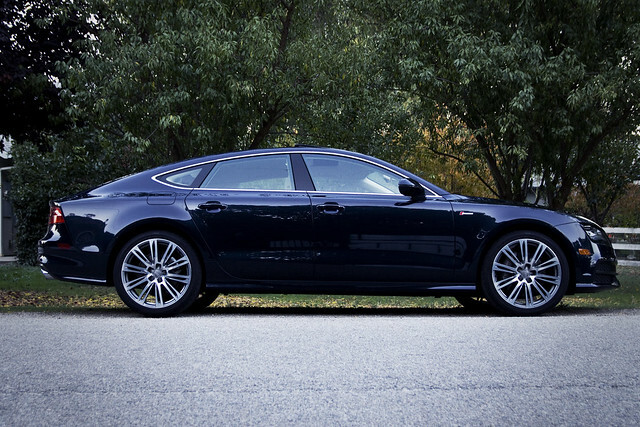 After looking at most of the contenders, as far as price and same level cars, my choice would still be the A7. I would rather have a fully loaded car baring a less common name badge than a base model car baring a well-known name for the same price, if not a little less! 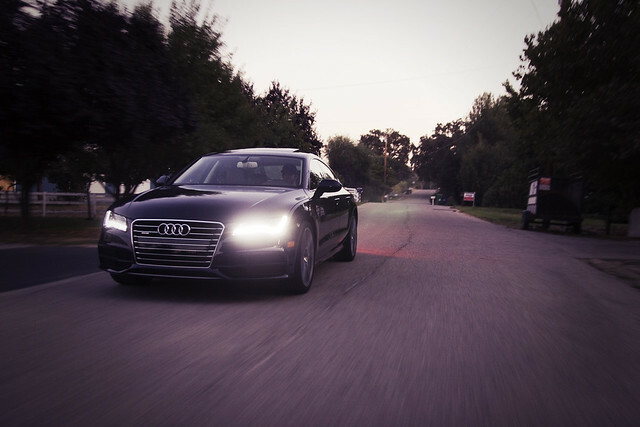 This entry was posted in _Audi, Quick Look, Recent Articles and tagged A7, audi, Audi A7, Quattro, Roadtest, S-Line. Bookmark the permalink.